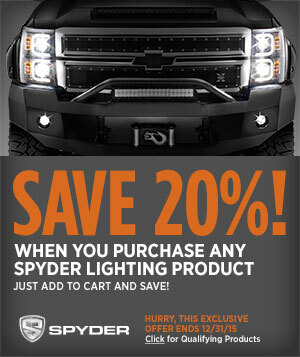 Toyota Nation Forum : Toyota Car and Truck Forums > Vendors > AutoAnything.com > LAST DAY - 20% OFF Spyder Headlights/Tail Lights! Click the ^banner^ and save up to 16% on Toyota mods. We price match, simply call 888-591-8563 or Click Here To Chat and we'll beat ANY price by $1.